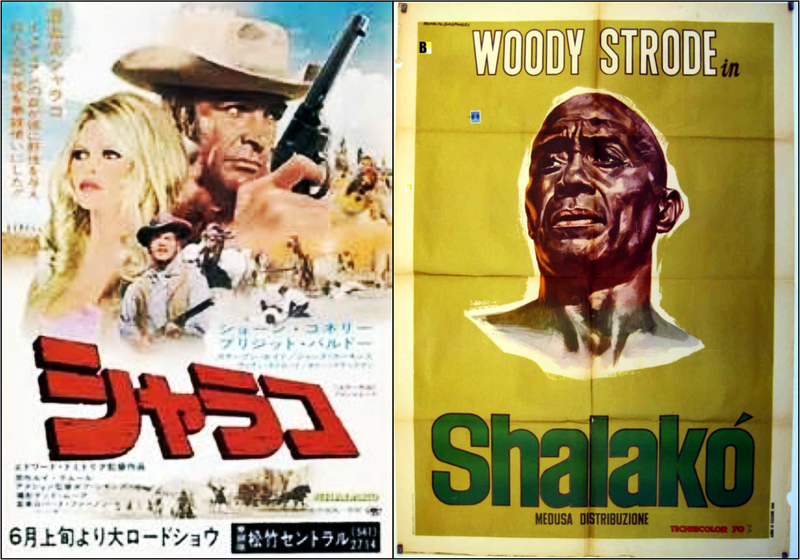 Shalako (1968) _________ Western Anomaly ? 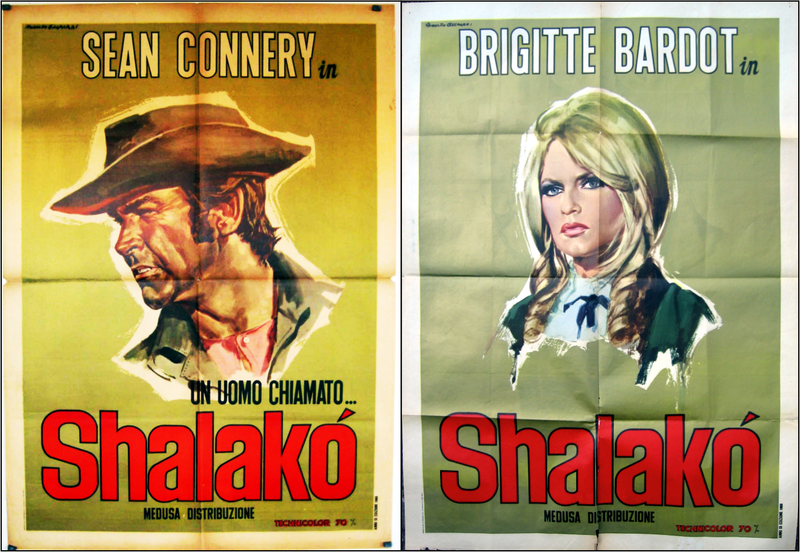 “Sean Connery is Shalako! 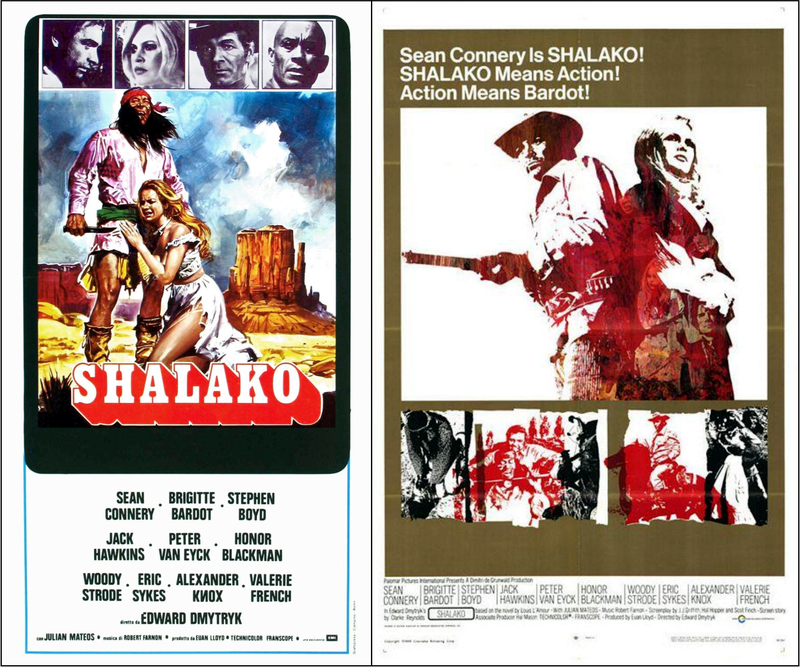 Shalako means action! 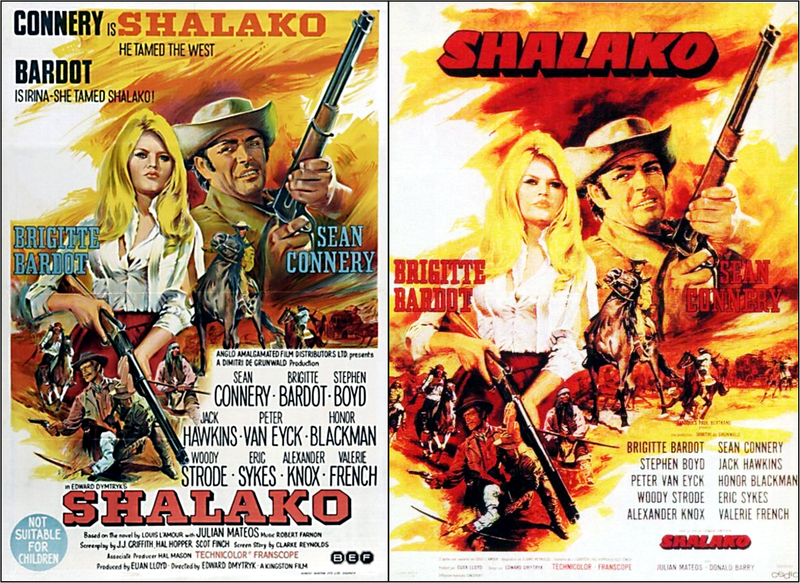 “Connery is Shalako – He tamed the West! 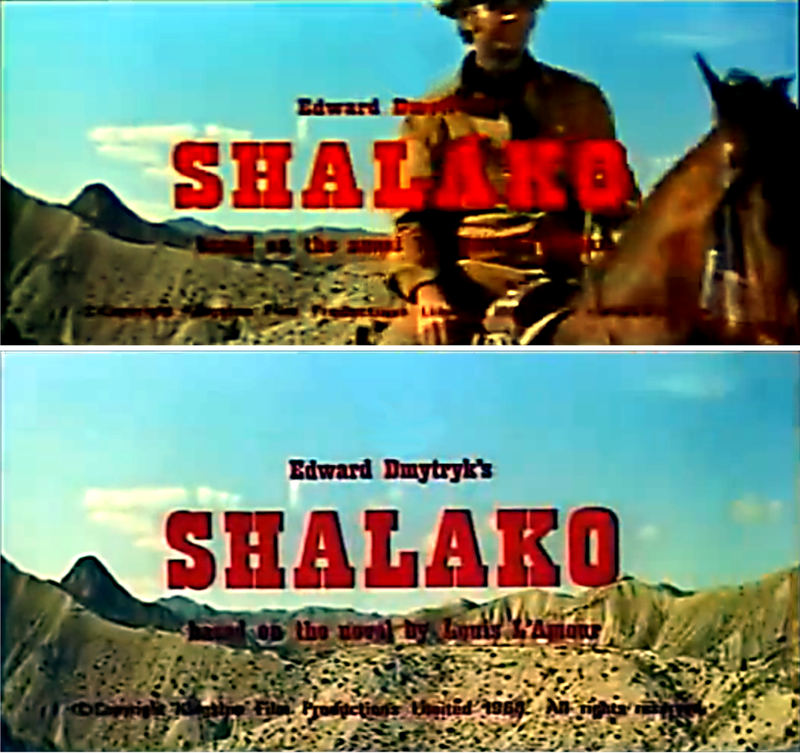 “Shalako – it’s a strange name”. “Yeah. 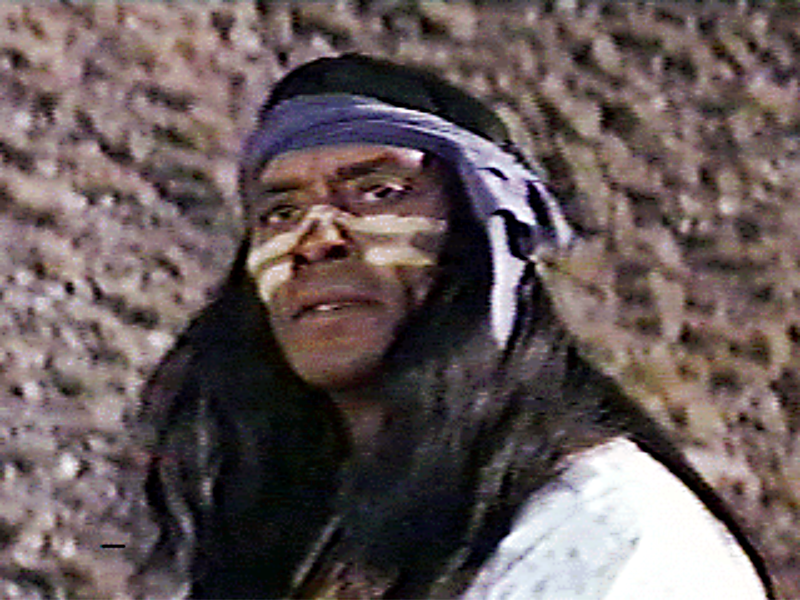 It means “rain-bringer.” Zuni Indian”. 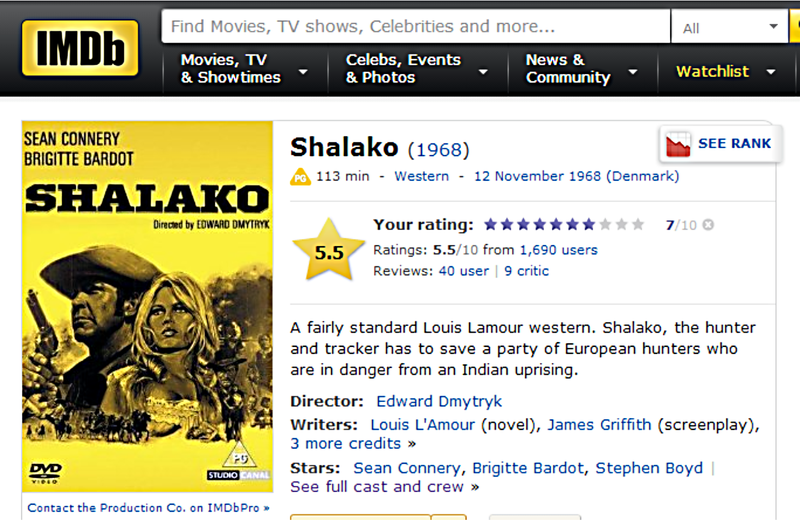 My eldest brother, Richard, asked me what I thought of Shalako (1968)? 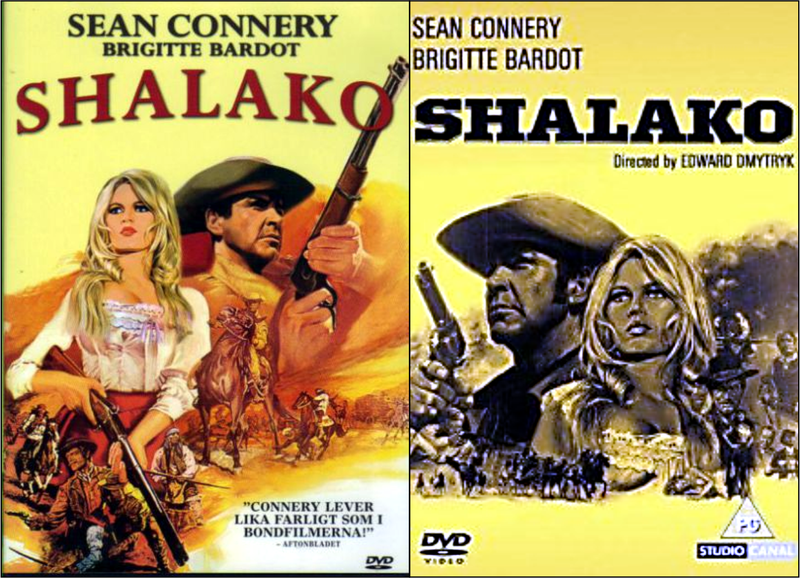 Wikipedia says: “Shalako is a 1968 Western film directed by American Edward Dmytryk, starring Sean Connery and Brigitte Bardot. The British production was filmed in Alméria, Spain. Jack Hawkins (was already a well-respected veteran Star/actor) and Steven Boyd – would both be recognized by their Starring roles in Ben Hur (1959). So … a coterie of fine acting talent and charismatic Movie Stars. 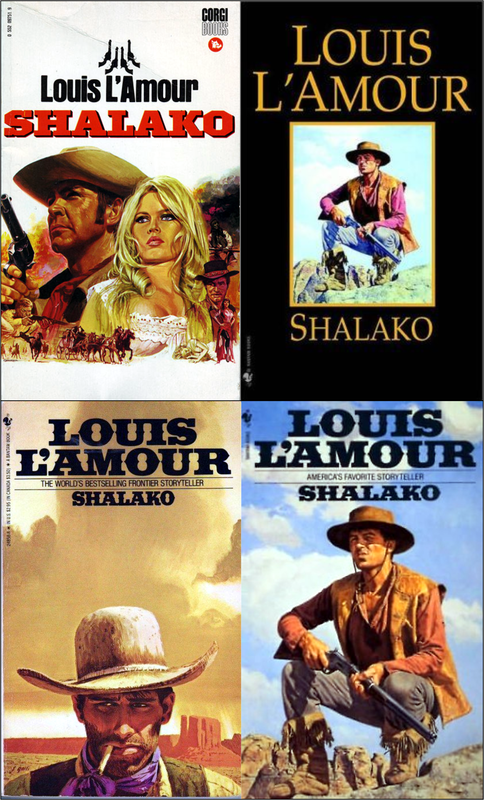 Mostly European – strange for a Western – but not unrealistic to the times / Old West. So, if Shalako has nothing else, it has Star Power – Not to be under-rated. 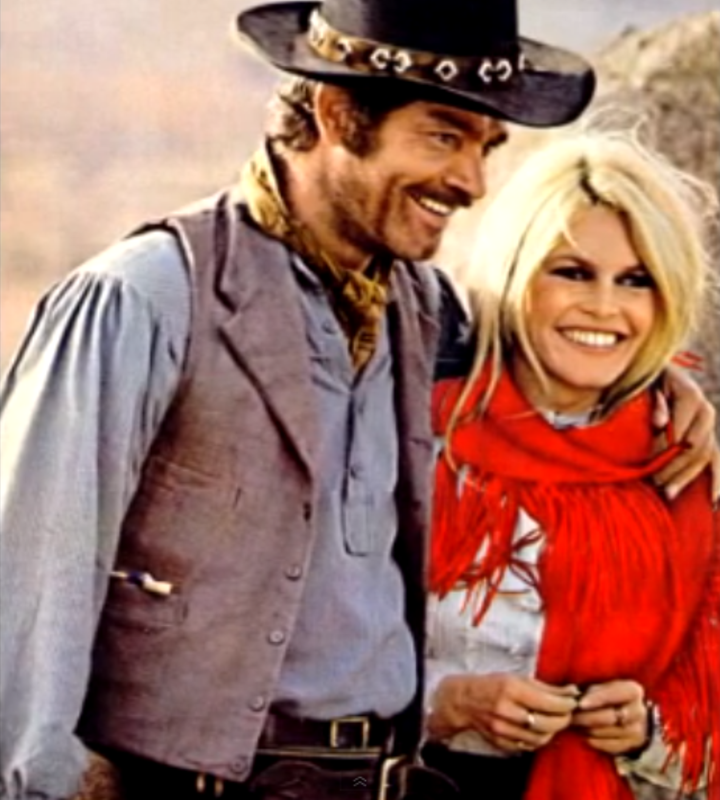 Connery and Bardot have some nice interplay in sharing the bulk of the screen time. 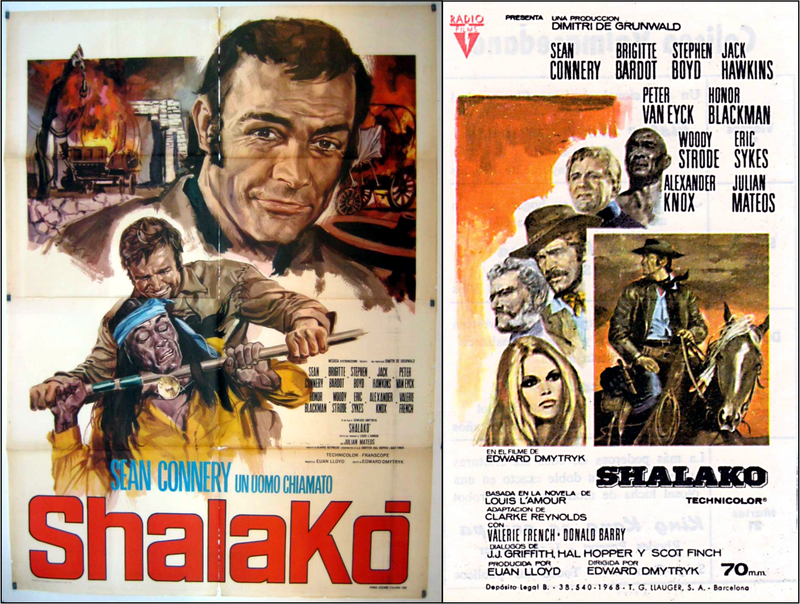 Also there’s some decent action in what is a pretty well a straight up Western action tale with the Apaches (again) playing the heavies. 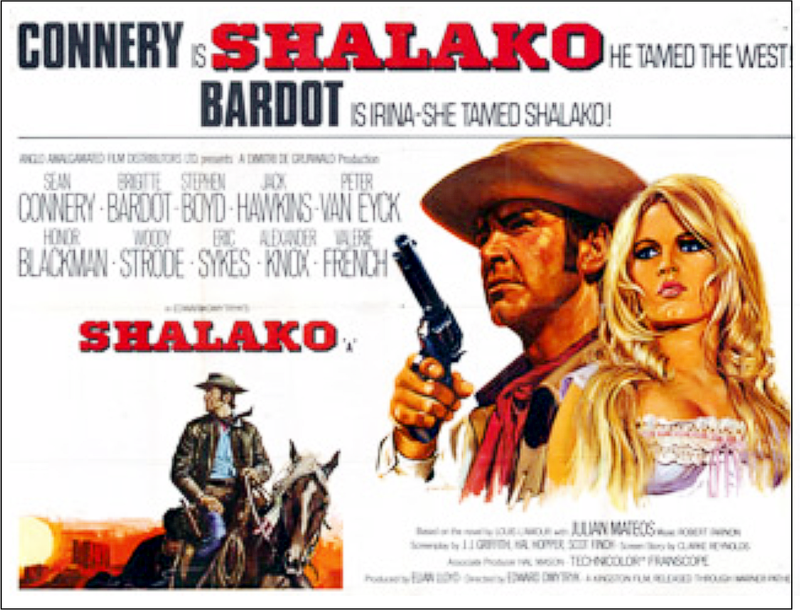 Possibly a Western that may enjoy greater appreciation with time. 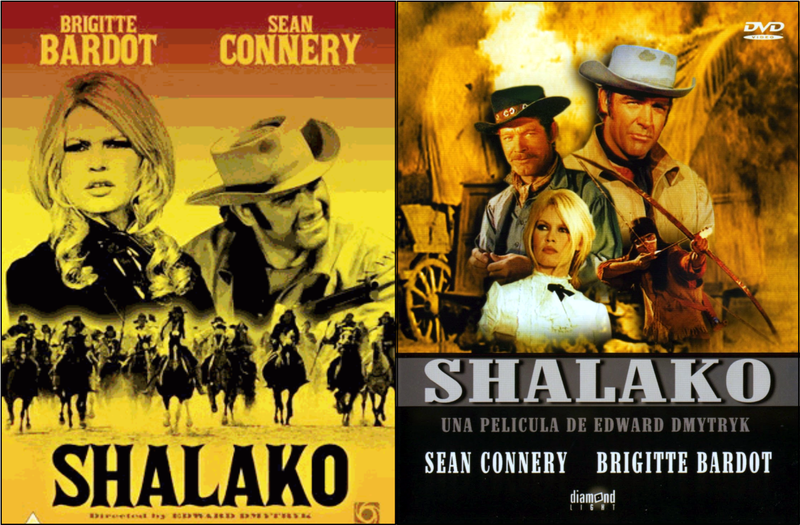 Shalako is an interesting Western – a curiosity. Worth a watch … but maybe just one. 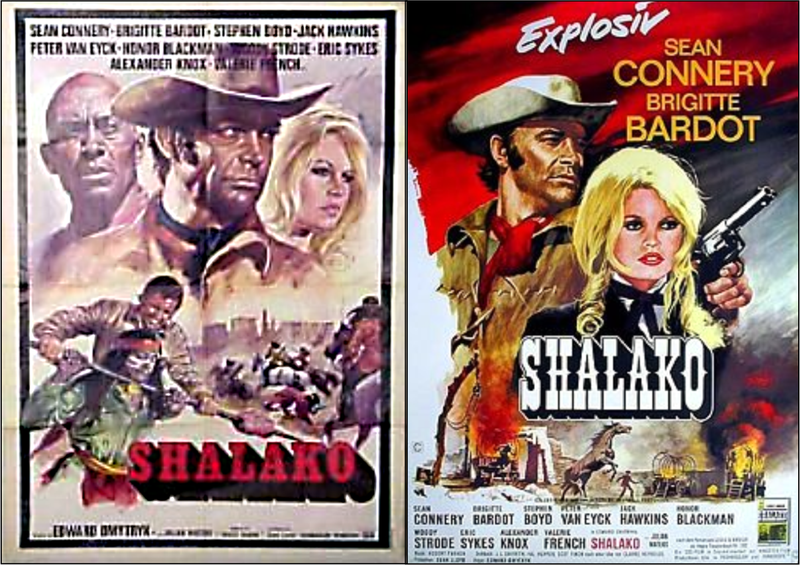 – Other Steven Boyd Westerns: The Bravados (a Classic), Bandolero (not a Classic). – Wikipedia: “Jack Hawkins, a three-pack-a-day smoker began experiencing voice problems in the late 1950s; unknown to the public he had undergone cobalt treatment in 1959 for what was then described as a secondary condition of the larynx, but which was probably cancer. In private, he used a mechanical larynx to aid his speech. 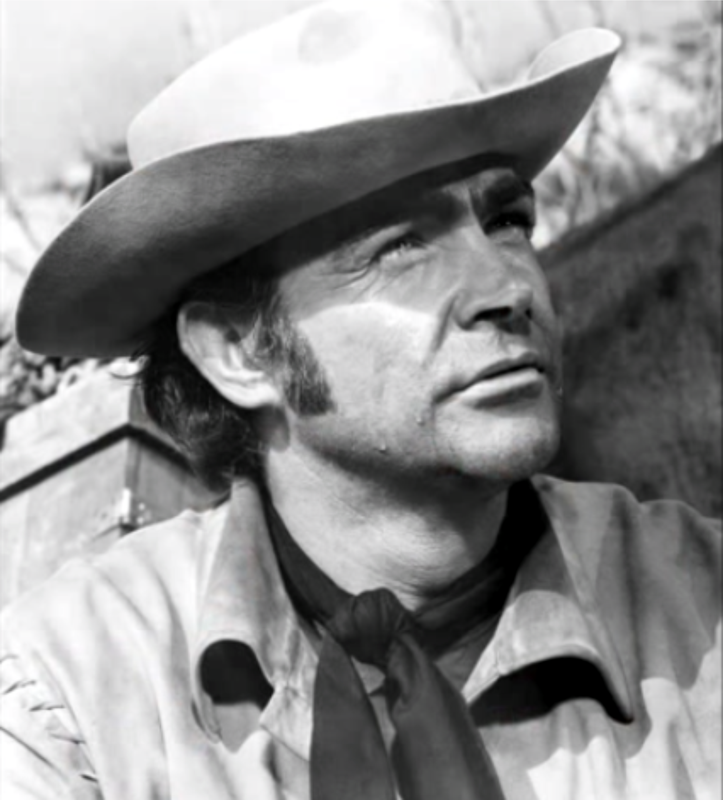 In December 1965, he was diagnosed with throat cancer. 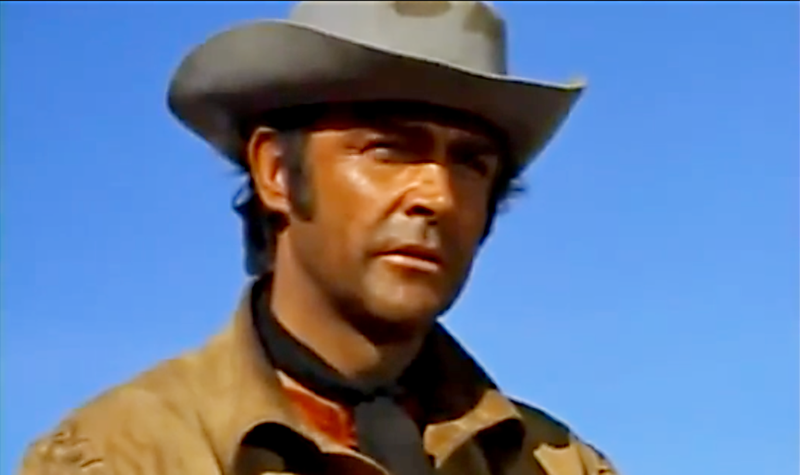 His entire larynx was removed in January of the following year; thereafter his performances were dubbed, often (with Hawkins’s approval) by Robert Rietti or Charles Gray. Hawkins continued to smoke after losing his voice.